We distribute a collection of the very best Audio Products the world has to offer from boutique manufacturers who have a passion for perfection and attention to the subtle details that make a difference. We put a priority on natural products to achieve the best sound result. Contact us to locate a dealer near you. Archiving Vinyl that sounds like the original Vinyl recordings has been a challenge to say the least. Archiving Vinyl with the equipment setup shown below can create digital files that when played back with the music server will consistently sound as close to the original vinyl sound as we have so far experienced. For the best results we recommend you see our setups. One of the reasons that many people have stuck with vinyl is that it often has a greater sense of musical flow compared to CD's. A turntable that is well-designed and well-executed has these seamless sound qualities and invites further listening.. There’s a wealth of detail presented, allowing the listener to hear into the recording. One experienced listener heard details of treasured LP's that he had never heard before. 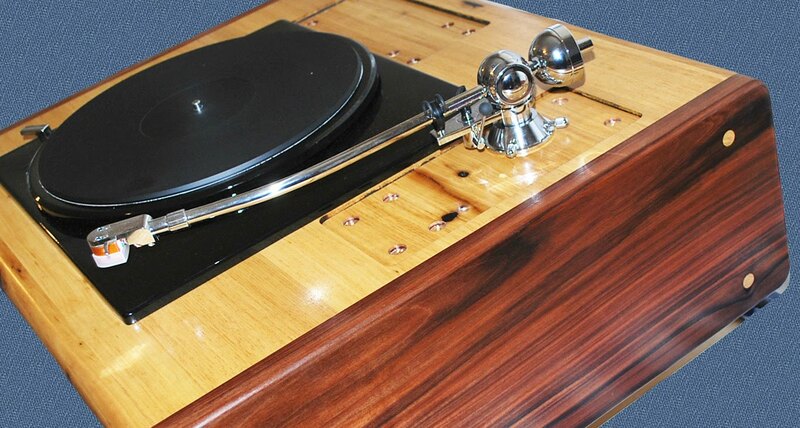 Part of the magic of a well-executed design turntable is the unrestrained dynamics. Many other turntable designs sound strangely compressed and congested in comparison..
· A whole systems approach to vibration and resonance control integrated into the design. · Great combo with Empirical Audio Legacy Music Server for playback of HI-Resolution DSD files.